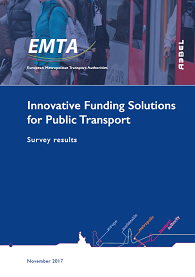 “EMTA reports orsurveys” are publications that opens a series of summaries drawn from workshops or working groups organized by EMTA with a view to enrich common knowledge by sharing experience and joining thoughts. This report was produced by Rebelgroup with the support of some EMTA members. This report was produced by Dr. Jan-Dirk Schmöcker, Associate Professor at Kyoto University, and Dr. Achille Fonzone, Senior Lecturer at Edinburgh Napier University. They used the support of Dr. Fajar Belgiawan (Postdoc at Kyoto University) and Mr Saeed Maadi (doctoral student of Kyoto University). 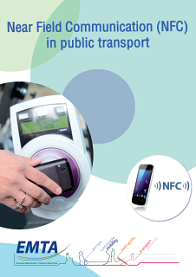 This report was produced by the EMTA NFC workgroup contributors (ATM Barcelona, SL Stockholm, Ruter Oslo, TfL London, STIF Paris Ile de France, HSL Helsinki and ZTM Warsaw) with the strong support of Mrs Andrea Soehnchen. If you want more information about Rob van der Bijl you can contact him on this email, visit this website or this one. You can also contact Niels van Oort on this email and visit his website. Study realized by M.Tomas Avanzata from Avanzata consulting. To understand the key aspects supporting the decision-making process when developing and implementing e-ticketing systems at all levels: political, organisational and operational. 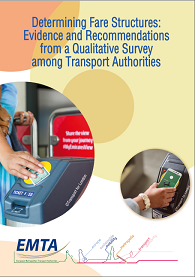 The study aims at identifying the challenges for Public Transport services, presents best practices, and unfolds recommandations to take further actions.